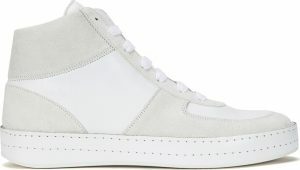 **Ann Demeulemeester Mid Top Sneaker from theloit. Price: $230.00. Discount: $230.00. Categories: Fashion, Men, Footwear, Sneakers, Sponsored. Deal Rating: 5 Stars out of 5. Store Rating: 4.5 Stars out of 5. Deal Recommendation: Recommended. Available Until: Limited Quantity. Thoughts: Ann Demeulemeester Mid Top Sneaker. White Color. Made in Italy. **Ann Demeulemeester High Top Sneaker from theloit. Price: $237.50. Discount: $237.50. Categories: Fashion, Men, Footwear, Sneakers, Sponsored. Deal Rating: 5 Stars out of 5. Store Rating: 4.5 Stars out of 5. Deal Recommendation: Recommended. Available Until: Limited Quantity. Thoughts: Ann Demeulemeester High Top Sneaker. Black Color. Leather. Made in Italy. **Yohji Yamamoto Pour Homme YY Punk Superstar Black from theloit. Price: $248.00. Discount: $372.00. Categories: Fashion, Men, Footwear, Sneakers, Sponsored. Deal Rating: 5 Stars out of 5. Store Rating: 4.5 Stars out of 5. Deal Recommendation: Recommended. Available Until: Limited Quantity. Thoughts: Yohji Yamamoto Pour Homme YY Punk Superstar. Black Color. Made in China.